Your R-Card can be used with merchants throughout the Winter Park area. Please visit the R-Specials page for instructions on how to receive discounts and special offers for just being a member of the Rollins community. For a full list of merchants, please visit the Accepting Locations page. Look for this sign to pay with your R-Card! Interested in joining our program? 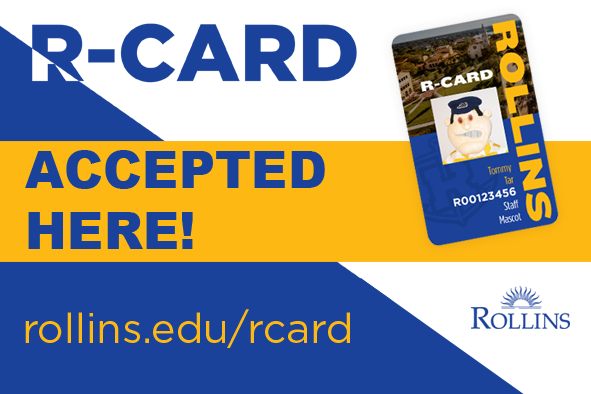 Contact us at rcard@rollins.edu to get started!